Printable Math Brain Teasers Help Motivate Math Learning In Kids. Fun and math go hand in hand, right? We think so. Have you tried our latest printable math brain teasers? 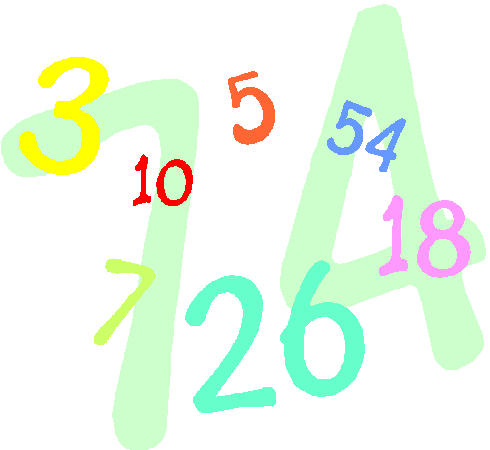 On this page you'll find fun math brain teasers for kids from 1st grade all the way through 8th. Just scroll on down to find the right level. A mystery number has two digits. It is an odd number less than 50 but greater than 45. How many possible mystery numbers are there? Greg made 4 snowballs on Monday. He made 9 snowballs on Tuesday. He made 14 snowballs on Wednesday. How many snowballs did Greg make on Thursday, Friday and Saturday? Sam has 25¢ in his pocket. He has more than one coin, but less than 8 coins. What combination of coins might Sam have in his pocket? Print this math brain teaser worksheet. The Ramble Soup Company advertises they put 32 feet of noodles in every can of their Nifty Noodle Soup. How many yards of noodles are there in 6 cans of Nifty Noodle Soup? In 20 cans? Write your answers as mixed numbers in simplest terms. The lowest temperature in Arctic City on January 1 was 32 degrees. On January 2 the low was 20 degrees. The average low temperature for the first three days in January was 23 degrees, what was the temperature on January 3? Hank the hot dog vendor is trying to buy the same number of hot dogs and hot dog buns. Hot dogs are sold in packages of 6. Buns are sold in packages of 10. What’s the smallest number of packages of hot dogs and of buns that Hank can buy to have a matching number of each? The teacher wrote this problem on the board: “Three friends were searching for mushrooms. At the end of their search, all the mushrooms had been found by one of the three. Lucy found 2/3 of the mushrooms, Linus found 1/4 of the mushrooms, and Charlie found 1/9 of the mushrooms.”Before she could sit down, Brainy Barb raised her hand. “Ms. Jones, this is not possible.”Why not? Printable math brain teasers are not only fun, they help build math thinking in students.